The item is A.O.F.B. related but probably locally made for a specific VAT and not a mass produced item. 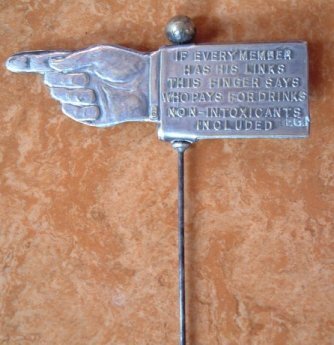 Fashioned in silver the spinner consists of a hand with pointing finger, with the legend ' If every member has his links This finger says who pays for drinks Non intoxicants included.' which can rotate around a spindle. 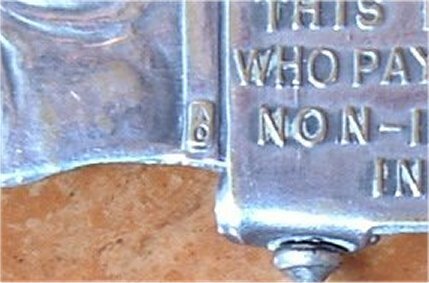 Note the detail, the shirt cuff has an A.O.F.B. cufflink . A fun little item courtesy of Mike Maidment.